Join over 4 million players engaged in playing UNO Game on Facebook. Lots and lots of individuals are becoming more aware of the beautiful card game. 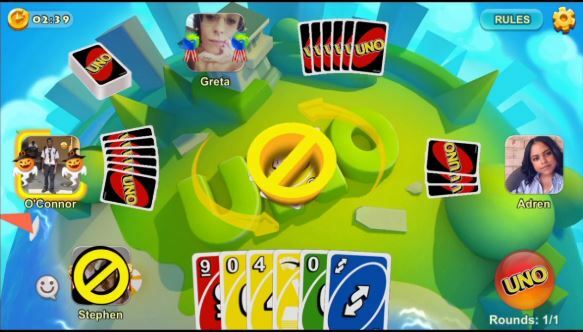 In every card game there must be a winner and for the fact UNO is an online game doesn’t make it an exception. This unique card game is played on a deck and every gamer is trying to be the best. I have great news for you, guess what? I know how you can beat your friends and become the number one player in the UNO Online Game. These hacks and cheats will announce you in the Facebook Gameroom when applied properly. Just like you play your normal cards in matching sequence that is how you play them in this game. The only cards that aren’t played like this are the Wild Cards. I will tell you about the Wild Card Shortly. The winner of this game is the person with the fewest point and this is deliberate if you want to win. After game play, the cards of all the players on deck would be calculated and the person with the fewest point is the winner. Cards have different values and they are: Wilder Cards (50 Points), Number Card (Face Value), and Action Cards (20 Points). This is very easy, all it takes for you to get these coins is watching the ads displayed to you. 100 Coins are given to users for watching these adverts. Quick Play – In this mode you play alone and in less than one minute the game would be rounded up. Now, to win in this game, it is advisable you play all your special cards first so you don’t end up having lots of points at the end of the game. Go Wild – Save your special cards in this mode because once you open the sequence where everyone with a draw two and both wildcards can keep playing until it get to the player without a card. If you fall victim, you will end up with a lot of cards and that is the end of the game for you. Also, in Go Wild you play with a partner.